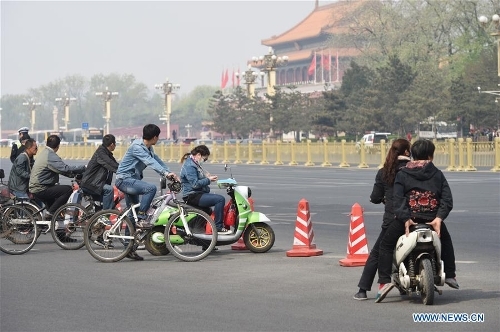 Electric two-wheel vehicles will be banned from 10 Beijing roads from the start of next week to regulate traffic and reduce accidents, local traffic authorities announced on Tuesday. 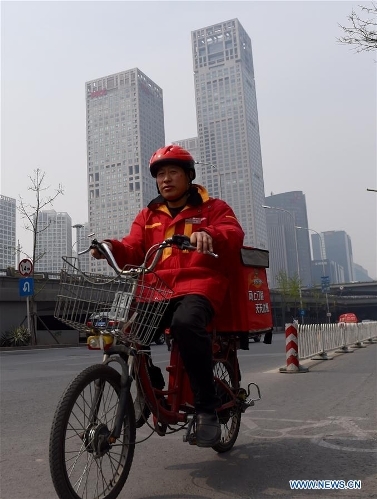 The roads include the extended Chang'an Avenue, the city's main thoroughfare, and several around Tiananmen Square in the heart of Beijing. 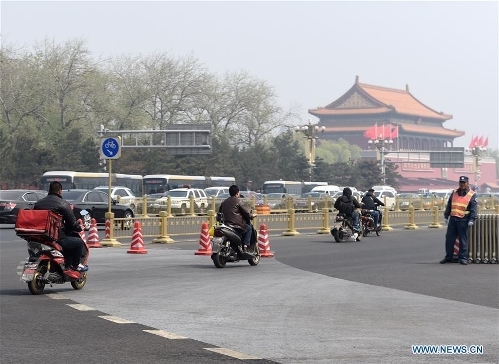 The Beijing Traffic Management Bureau said the 10 have heavy traffic, higher accident rates and often do not have bicycle lanes. Rule breakers will be fined 20 yuan (3.1 U.S. dollars) and their vehicles will be confiscated if they refuse to pay. 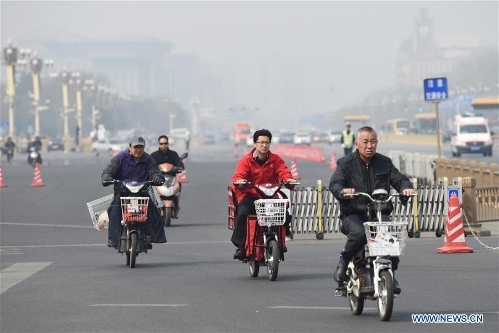 There are around four million electric two-wheelers in Beijing. Many of them are more like motorcycles than electric bikes. It's common to see riders run red lights, or go on the wrong side of the road or in motor vehicle lanes. Last year, electric two-wheel vehicles were involved in 31,404 accidents, with 113 fatalities and 21,423 injuries. The number of injured accounted for 36.7 percent of all road accident injuries. So far this year, police have received more than 6,000 complaints over electric two-wheel vehicles, the bureau said.